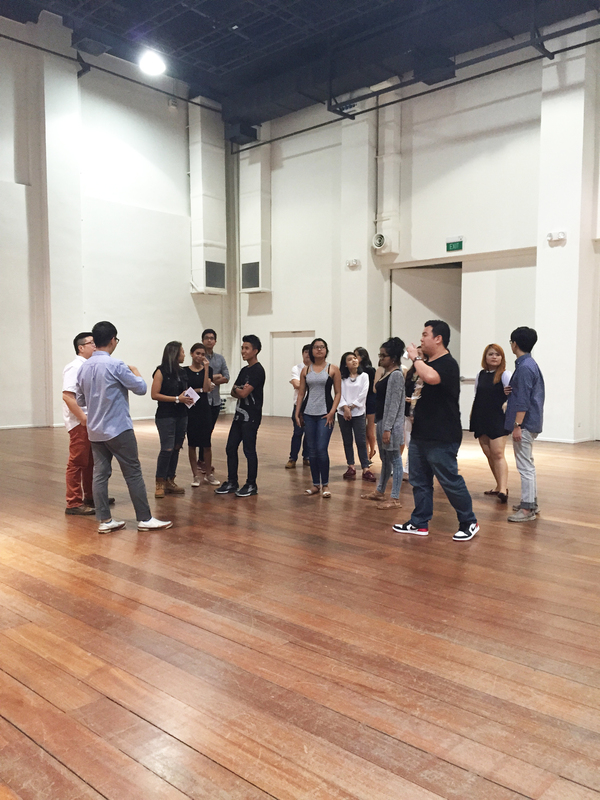 We had NAFA Performing and Visual Arts Management students at 72-13 on 6 April and 15 April respectively. 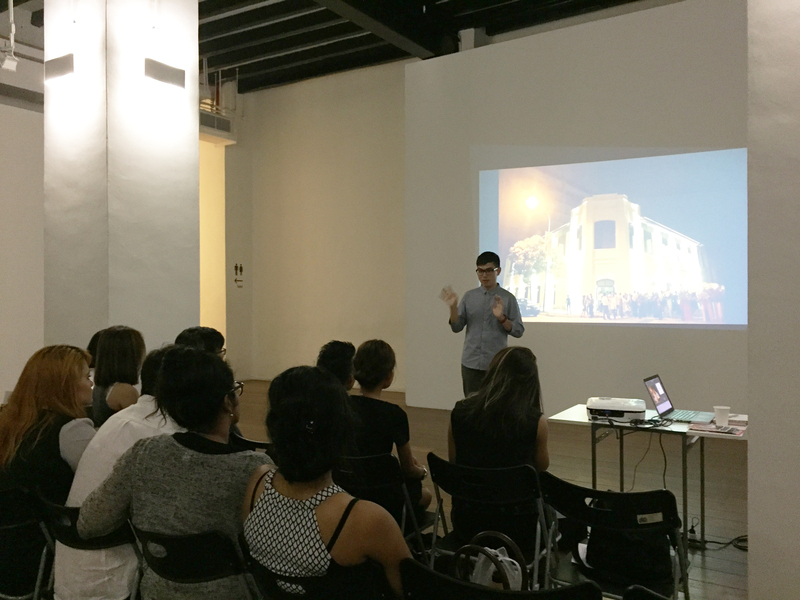 Tying in with their Events and Facilities Management module, our engagement executive, Brendan introduced TheatreWorks and our home, 72-13 – presenting how both TheatreWorks and 72-13 played an integral in offering an important space that supports artistic and alternative works which are seldom seen in Singapore. In his presentation, he went to share how the various programmes and productions also touched upon our organization’s philosophy and red lines, presenting inter-disciplinary, inter-cultural and docu-performances. Programmes at TheatreWorks includes diversity of artistic concepts and relations like Retrospective,where renowned French choreographer Xavier Le Roy worked with 12 Singapore dance and performance makers in creating a performance-exhibition that engaged audiences intimately in contemporary dance-making and how intercultural, interdisciplinary projects like the Flying Circus Project enabled new connections and discoveries between artists and communities. He also shared about our Open Call programme featuring events like Living With Myths and our Engagement programmes in deepening the knowledge and experiences of our stakeholders. Later, the students took a tour of 72-13, visiting the spaces where various. Many were curious about the heritage of the building, which used to be a rice warehouse, as well as our main staircase, which was retained from the original building structure. 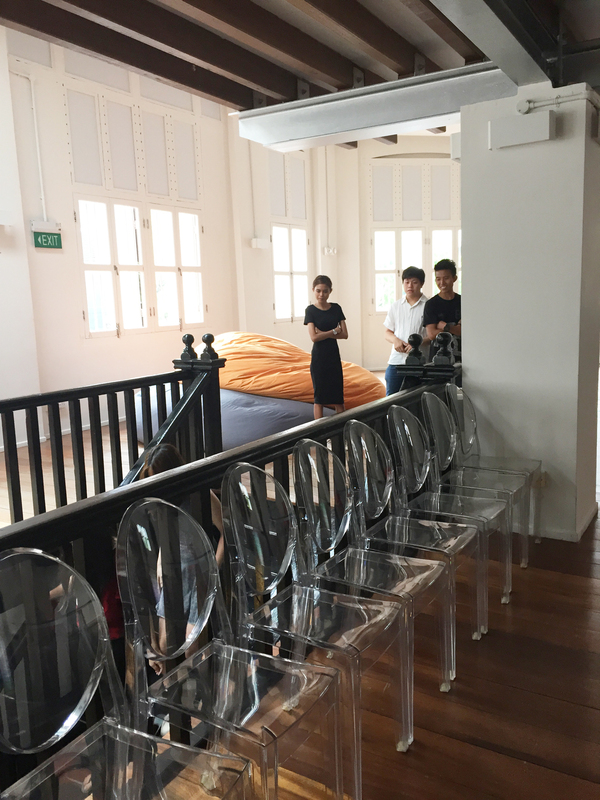 They were intrigued by how the space is well equipped for all kinds of programmes and productions for performance and visual arts. They liked the idea how there was a full grid and truss system which can be lowered to ground level at our main hall, Space 2. 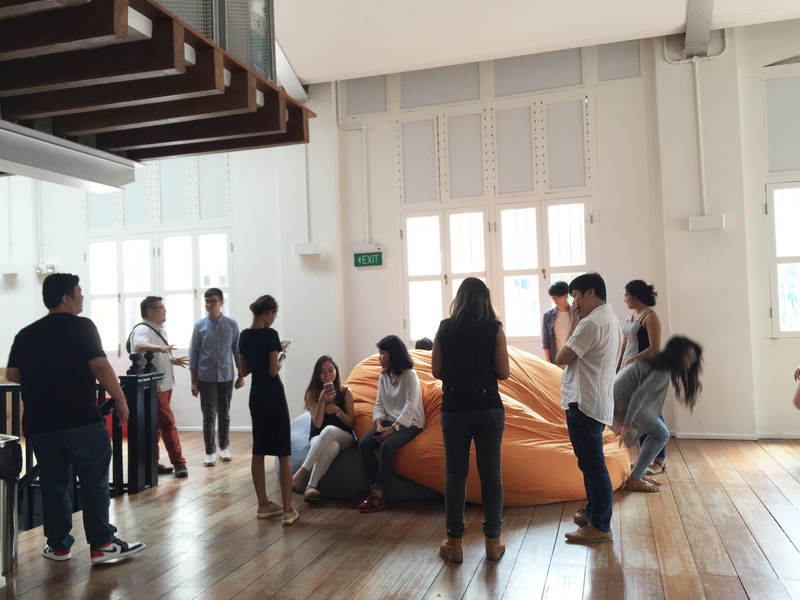 On a lighter note, the students loved the openness and comfortable environment of our spaces, easing into the large beanbags in Space 3 and peering out of the windows. 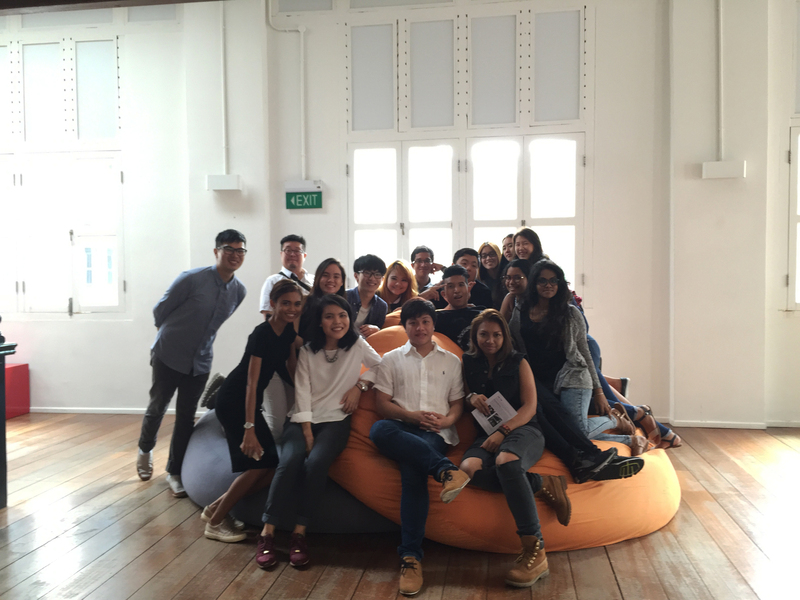 Thanks NAFA Performing and Visual Arts Management students for paying us a visit! 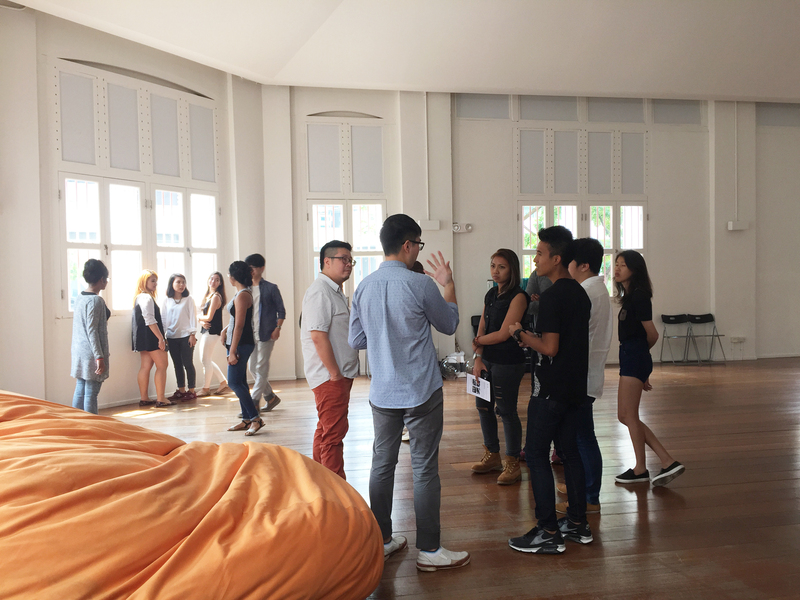 This entry was posted in 72-13, Engagement and tagged 72-13, arts management, NAFA, performing arts, singapore, student visit, theatreworks, visual arts on April 16, 2015 by TheatreWorksSg.